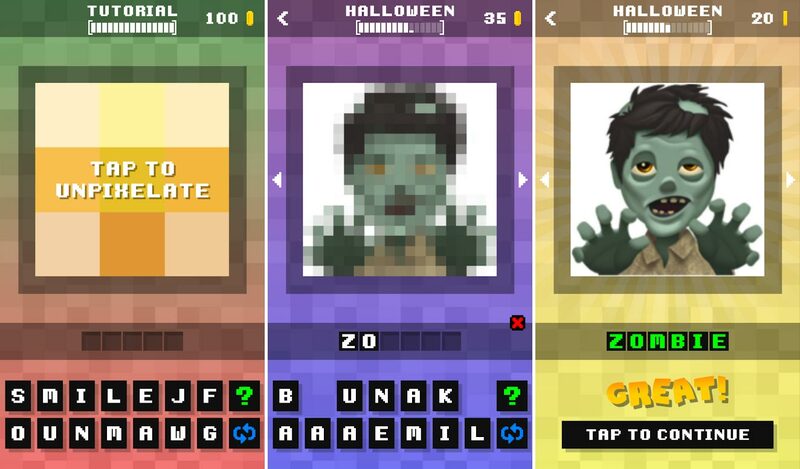 Pixel Quiz Emoji is an addictive and deceptively simple game. Step 1: You are shown a pixelated emoji to guess. Step 2: You can tap the emoji to make the image clearer. Step 3: Type the answer from the scrambled letters when you’ve got it! The game is easy to learn and with over 50 categories, you’ll have hours of challenging fun! + more than 500 others! The game was designed with inspiration from classic word puzzle games such as 4 Pics 1 Word, Bonza and Guess the Logo. 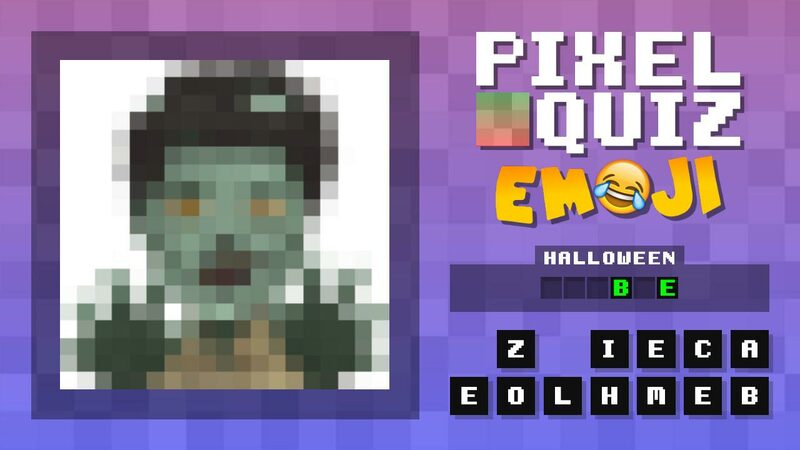 If you like these types of games, then you’ll love Pixel Quiz Emoji! Tap on the pixelated emoji to slowly unpixelate and reveal what it is. When you know the answer, type it from the scrambled letters below. Every correct answer will reward you with coins to spend on new challenges, hints or clicks. Pro-Tip: There is no penalty for an incorrect guess! Each tap makes the image clearer but costs a click. Clicks recover slowly over time or can be refilled by spending coins or watching an ad. This system was implemented to allow you to play at your own pace. Some people like to click more and others like to click less. But the coin reward is always the same! Pro-Tip: If you’re feeling stuck and need a hint, you can press [?] to spend coins or watch an ad to reveal a letter. You can even share the current level with the “Ask A Friend” option! That’s over 500 emojis for hours of challenging fun! Unpredictable Cliché is a one-man indie game studio based in Australia and France. 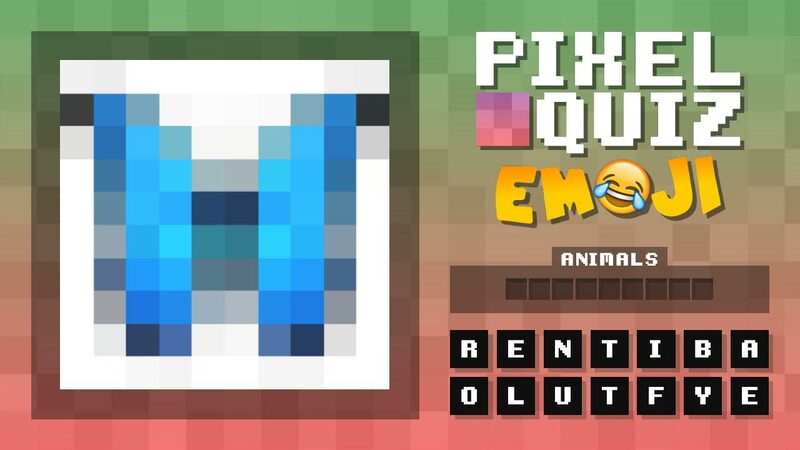 Pixel Quiz Emoji marks my fourth mobile game since starting to self-publish in 2014. I develop primarily in GameMaker for Android and iOS and have aspirations towards larger PC releases in the future. I am always open to contact regarding partnerships and projects. Follow Unpredictable Cliché on Facebook and Twitter for insight on future releases! This article was Published by Edamame Reviews, Written by Unpredictable Cliché.